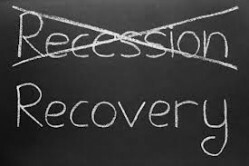 Earlier this month CNNMoney reported that economists they had just surveyed believe the nation’s housing market has finally turned the corner and recovery is finally here. There were 14 economists that answered questions about home prices in the survey, nine believe that prices have already turned higher or will make that turn later this year. Only three months ago, half of the economists surveyed byCNNMoney believed a turnaround in prices would not take place until 2013 or later. What changed their minds? They’re most likely encouraged by three straight months of increases in the S&P/Case-Shiller home price index, a pick up in sales of existing home, increasing permits for new home construction and a big jump in the price of new home sales. Mortgage rates are expected to remain at near record lows thanks to the Federal Reserve’s purchase of $40 billion in mortgages a month for the foreseeable future. Some of the economists that were surveyed believe there’s been some fundamental change of thinking in the market place. Buyers who had postponed housing purchases while prices were dropping are now more comfortable making the plunge into home ownership. If you’re ready to take that step into home ownership or purchase an investment property, we’d love to show you the Brunswick Forest homes for sale that are currently listed. Living here you’ll be less than 10 miles from the Wilmington metro area. These Brunswick Forest homes for sale are set on 4,500 acres of natural beauty that you would expect from a forest, just give Jayne Anderson a call at your convenience at 910 279 4001 or toll free 800 450-3684.